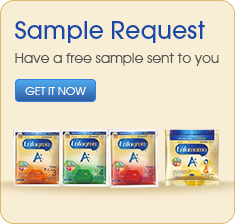 Enfagrow A+ Stage 3 with 360 DHA PLUS is a scientifically formulated milk supplement for children aged 1-3 years old. 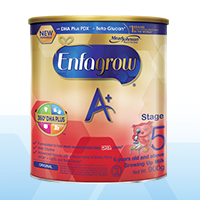 Enfagrow A+ Stage 4 with 360 DHA PLUS is a scientifically formulated milk supplement for children aged 3-6 years old. 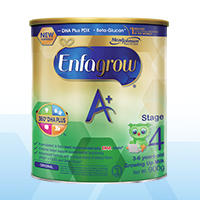 Enfagrow A+ Stage 5 with 360 DHA PLUS is a scientifically formulated milk supplement for children aged 6 years old and above.